What, you never seen two celebrities chippin' about or sumthin'? Tssst. He's lost a lot of weight since then (from "gahn t'the jahm'n ate'n beh-tehr") so if I ever have time to do another one I'll have to redesign his character to have a neck. Sad times. 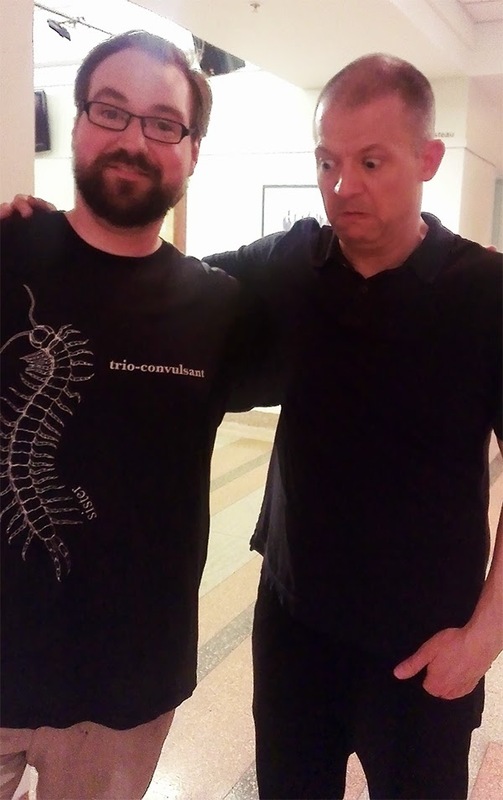 But I got to meet Chip regardless, and Ant's starting a new show on August 4th which I expect will be pretty decent, so the world appears to still be turning.